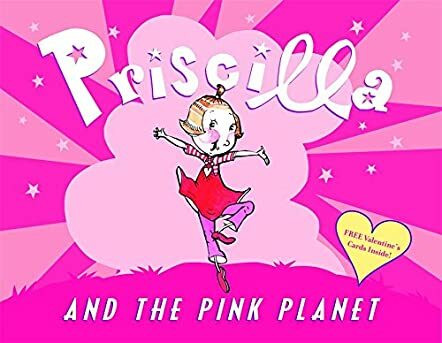 “Priscilla and the Pink Planet,” written by Nathaniel Hobbie and illustrated by Jocelyn Hobbie, is shared in an audio version that young girls will enjoy listening to. Priscilla lives on a planet that is filled with pink. Everything is some shade of the color pink. Priscilla would like to see other colors and she approaches the Great Queen of Pink, but the Queen has hidden all of the other colors. Priscilla thinks of a plan and hopes to trick the Queen into sharing the other colors, so she tells the Queen that she agrees that pink is the best color, but she must see other colors to determine that. The Queen likes Priscilla’s idea and she releases the other colors; Priscilla now sees a brand-new world as the sky is blue and the trees are green. Priscilla is thrilled to see so many colors and hues. Reading like a Dr. Seuss book, this book is fun and catchy and my daughter was instantly repeating some of the lines! The words are rhyming and the imagery is vivid and fun throughout the story. Priscilla is a fun character to spend time with and she loves pink, but would like to see some other colors. After the Great Queen does release the other colors, Priscilla is thrilled to see the other colors and enjoys them all. This would be a great book to share with children who have a favorite color and /or are hesitant for new experiences as this teaches that diversity is good and can be enjoyed.